Wow, heavenly fragrance! Beautiful top, I wish I could see your soap cut ! 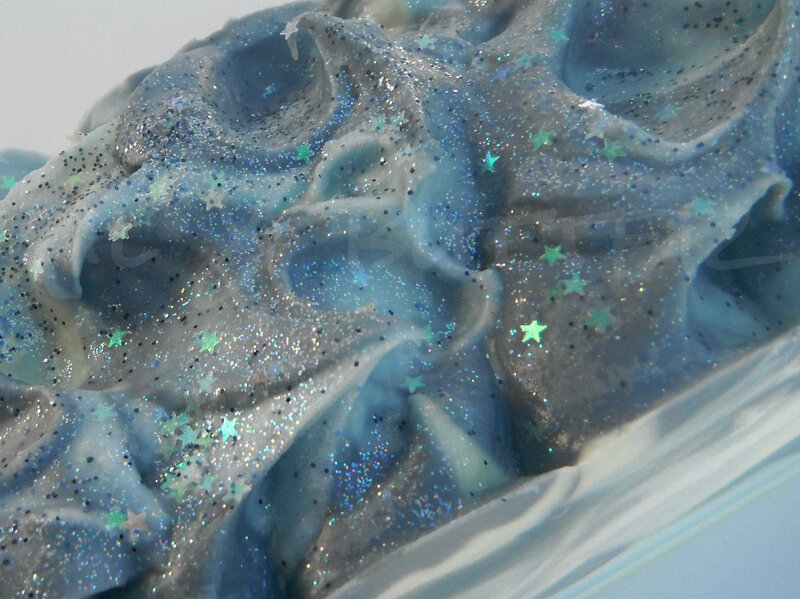 It looks like waves at night, with stars and everything. 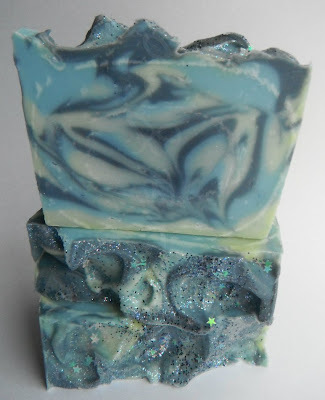 Beautiful soap,Cee,I love both colours and swirls. What is this tiny,white,circular line, close to the edges? Is it from swirling? Nice,looks like you wanted it to be there. Thank you Maja! I don't know what that white line is from, hopefully someone else can comment on what it might be? I put the soap in the freezer to prevent gel, so I'm not sure if it has something to do with that. Beautiful swirls, Cee Gee! The scent sounds wonderful. I love blue and black together, and the little glitter stars are cute! Love the Celine swirl Cee Gee! I just ordered some of that star glitter, I am excited to get it in! Your blog looks super cute now too!